Spring Classes; last chance, don’t miss, act now! Class Acts are accepting enrolments for the Young Toddler class (starting Feb 18, register by Feb 12) and the Bohemian Bilinguals program for older kids who attend Czech school and wish to improve their reading and writing skills in English (starting Feb 26). There are also a few spaces in their Kids in Motion classes (2.5 to 6 years) plus a NEW drama workshop - Echo Theater (commencing March 3), for school-aged kids. Set up by local parents, Class Acts is a volunteer-led community group offering affordable and creative learning programs in English. From early age, children are immersed in a fun, creative environment of music, movement, drama and storytelling activities. Transitioning to school, Class Acts offer after school advanced English classes taught by qualified teachers, as well as a young readers program. Class Act’s age range is currently 18 months to 12 years and suited to bilingual families or any local or foreign family who wish to expose their children to English. This semester’s sessions will be led by Zdenka Ellederova, mother-of-three who has recently returned from the US after 8 years and brings a wealth of experience of toddler groups. I had a great time attending the Young Toddler class with my son in early 2012. I realised that ‘baby’ Ari would soon be spending most weekdays at kindergarten. I hadn’t been as proactive with him as I had his older sister - so feeling this guilt I signed up for Class Act’s Young Toddler Class - and I’m so glad I did! It was such a nice bonding time with my child and I loved watching his joy and confidence grow with each session. It made me realise that when our children go to Kindergarten we really miss a lot of achievements and happy moments when ‘fun’ activities and skills are acquired. The toddler class is run every Monday morning at the Kampa Community Centre on Kampa Island in Mala Strana, our journey there was always a happy one - a tram or metro ride followed by a riverside walk. The centre has an indoor play area which you are entitled to use before and after the toddler class. The class is run in a large room next door and children need to bring either indoor shoes or socks. I liked the structure of the class, toddlers with their limited span of attention require a real mix-up of activities. Our fearless leader Bree, had us sitting down, standing up running, walking, dancing, jumping to a range of songs and rhymes. Props were used regularly - Žaba - the friendly frog would greet us each lesson, toys, musical instruments, exercise balls and the always popular parachute ensured the kids were participating and enjoying the experience. Absence policy: Refunds for missed classes are not possible. Lessons are transferable so a friend or family member can attend the class you miss. Here are some of the other courses offered by Class Acts this Spring. Kids in Motion has two classes, one that concentrates on Music and the other on Drama. These classes are held in Rodinné Centrum Paleček which is close to Flora Shopping Mall and metro stop in Prague 3. 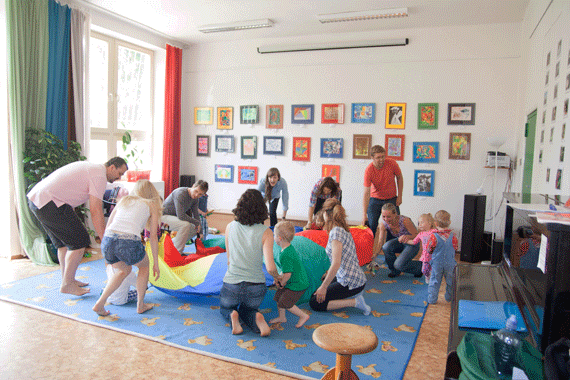 The set-up is similar to Kampa Community Centre - there is a playroom that the children have use of before and after class and the music and drama classes are held in a large room off the cloakroom. Kids in Motion classes began on January 6 but it’s still possible to join at this late stage. The Music Class is for children aged 2.5 to 4 years. 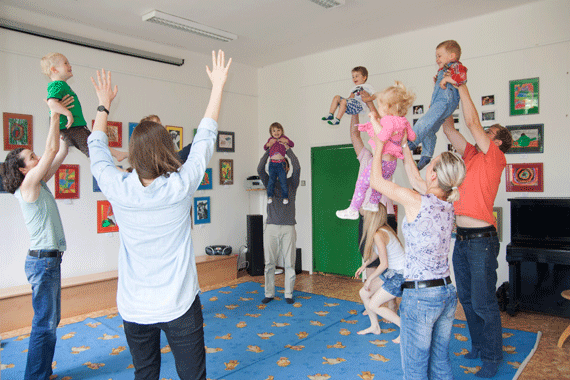 Together with their parents they explore elements of music, movement and storytelling through song, dance, chants nursery rhymes, puppetry and games. 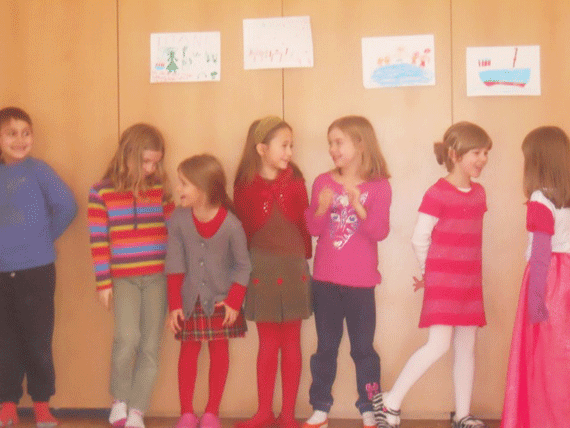 The Drama Class is for children aged 4 to 6 years. This class is without parental involvement. 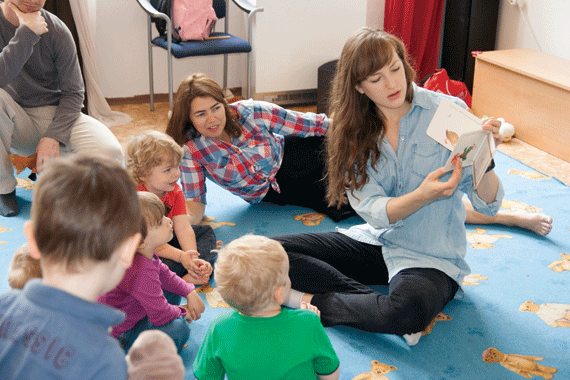 Led by a teacher, kids explore stories through drama, movement, music and art by actively playing the characters in fairy tales and children’s books. This is the exciting new area that Class Acts has moved into with many bilingual families beginning the transition into formal education in both local and international schools. These after school classes aim to ensure a high standard of literacy and writing skills beyond the ESL syllabus employed in Czech schools. In addition, the Reading Club is another way that children can learn, enjoy and discuss English books whilst relating and enjoying a sense of community with peers also raised in a bilingual home. 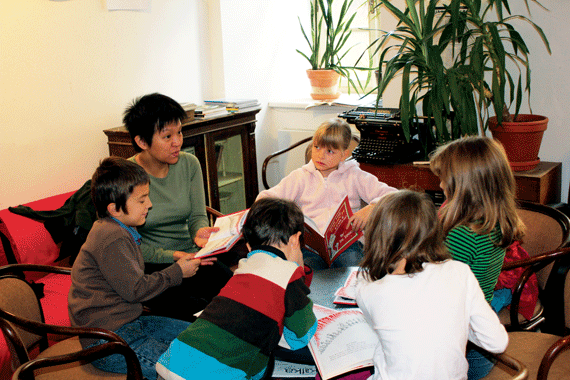 A language arts and literacy program for who speak English but attend Czech primary schools. These include children with an English-speaking parent and children in Czech-speaking homes who’ve lived in an Anglophone country or have attended an English-language school overseas. Run by accredited Primary School Teachers, lessons are once weekly for an hour and usually include group reading and discussion, individual reading, and some drama-related activities. Classes are supplemented with weekly homework assignments, including spelling lists and workbook assignments. Students are also expected to read in English at home, and there is usually an art-related assignment to build on the week’s in-class reading. The classes are held in four elementary schools: ZŠ Londýnská in Prague 2, ZŠ Interbrigády in Prague 6, ZŠ nám. Jiřího z Poděbrad in Prague 3 and at ZŠ Nám. Curieových in Prague 1. This is a monthly weekend club for young readers to explore together classic and modern popular children’s fiction. The Reading Club is led by Ratchanee Chatsantikul, a qualified reading and literacy teacher. She promotes reading in a fun, yet educational way! Prior to the session, children read the same title, depending on their age and reading ability. Children in the younger group (6-8 years) don’t need to be fluent readers. They can read the chosen title with their parents. The Reading Club is located at Městská Knihovna, the local library in Korunni Street, Vinohrady. There are still a few spots available for school-aged kids, led by Judi Challiner, which begins on Saturday March 3. Rehearsals will be held each Saturday and one Sunday afternoon throughout March and the premiere will be performed on Sunday 1st April. Our 6 year old daughter Lucie attended the last theatre workshop along with some of her friends. During the weekend workshops they learnt all about the doomed voyage of the Titanic, they then set out to create a play about the passengers experience on-board. All the kids were confident and happy whilst performing the final show for the parents, you could tell that they really enjoyed the whole experience and had gained a lot of confidence. The classes are held at Kampa Community Centre on Kampa Island in Prague 1. For further information or to book your child’s place please contact Class Acts.